There are other ways to improve your cholesterol! One easy way is by changing things in your diet. 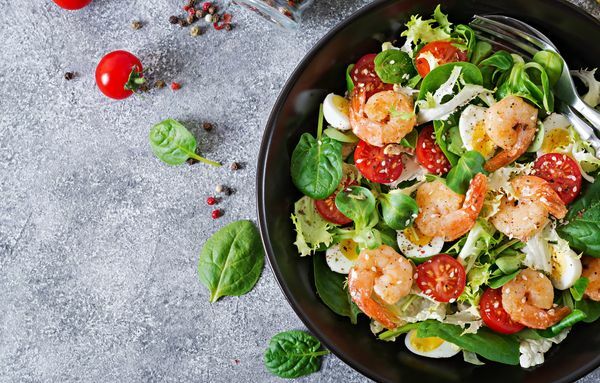 Not everything in your diet has to change in order for you to improve your cholesterol levels, but there are some easy changes that can make all the difference. The most important food to add to your diet is vegetables. Any dark green vegetable, such as kale, spinach, broccoli or brussels sprouts, are going to provide you the health benefits necessary to lower cholesterol. These can be paired with a baked chicken breast, using extra virgin olive oil instead of vegetable oil, butter or margarine, and maybe some avocado to add more flavor. All of those foods are cholesterol friendly, while also providing you your daily protein from the chicken and healthy fat from the avocado. If you don’t want to eat chicken all of the time, you can substitute fatty fishes, such as salmon and mackerel. These fish have omega-3s (similar to fish oil capsules) that will improve your good cholesterol, lower triglycerides (other fats in your blood), while also decreasing your stroke risk. Side note: it is best to bake your food because fried food can actually increase your risk of heart disease and stroke. For snacks and sides, you can add beans, peas or lentils. A ½ cup of these legumes will provide you a decent amount of protein and also lower your bad cholesterol. Nuts like almonds and walnuts are also nutrient dense foods that provide omega-3s, like the fatty fish. Nuts can carry a lot of calories in a small serving size, so make sure you are always reading the nutrition labels! Eating one serving of nuts a day is linked to a 28% lower risk of heart disease. Fruits and berries are full of fiber, which helps lower cholesterol levels and provide you with antioxidants. Try to pick up some apples, grapes, oranges or strawberries as a snack next time you’re at the grocery store. The last thing you can consider switching out is your white bread for whole grain bread. It doesn’t really taste much different but whole grain foods, such as bread and oats, can lower the bad cholesterol in your blood and decrease risk of plaque formation.